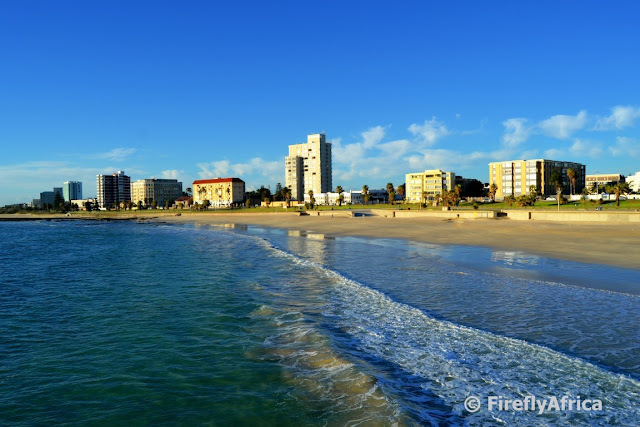 If you've ever been on the Port Elizabeth beachfront you would know Shark Rock Pier, one of Port Elizabeth's most prominent and well known landmarks. 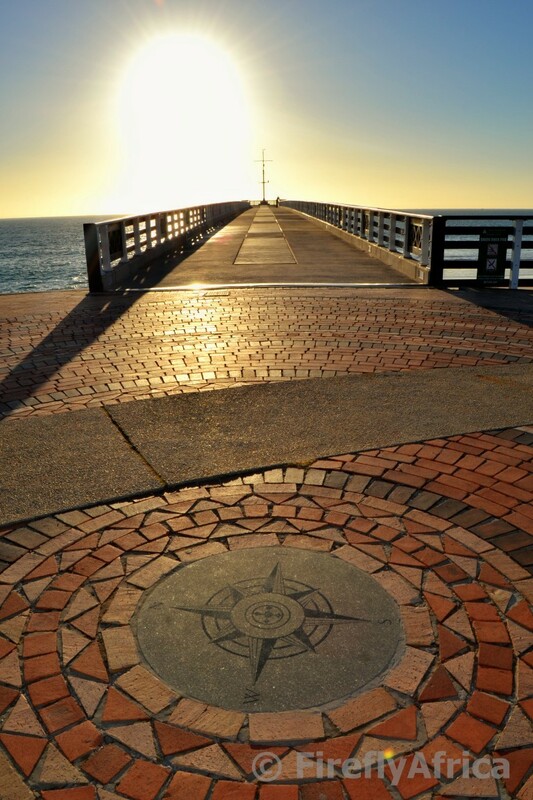 Most of us (and I say most of us because not everybody gets the opportunity to visit the beachfront on a leisure basis) have walked on the Pier, but have you ever noticed that there is a compass rose embedded in the paving just in front of the Pier? 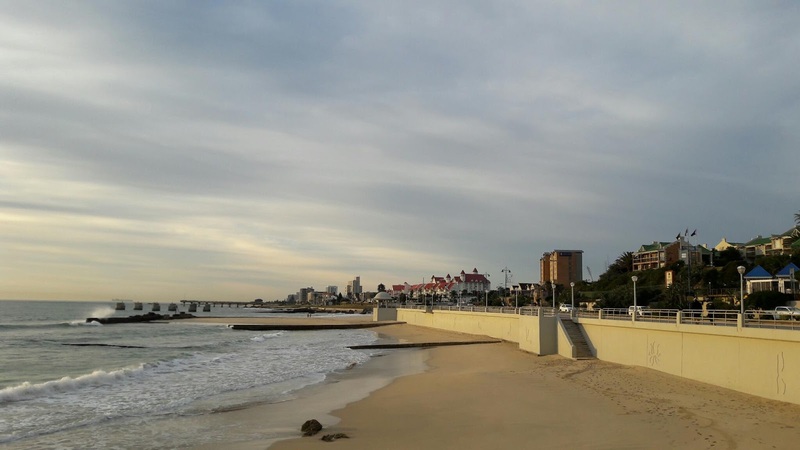 I think one of the things I love most about the Port Elizabeth beachfront is that it isn't over developed like that of Durban or even Cape Town, plus that there is minimal development that has taken place between Marine Drive and the beach. Can you imagine what out beachfront would have looked like if it was over developed? Thank goodness it isn't. Two Saturdays ago I joined the local Geocaching community for a picnic event in St Georges Park. 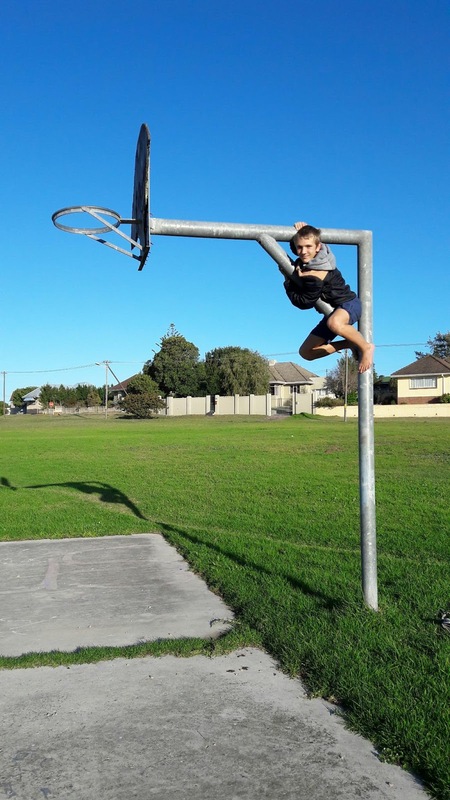 I just realised again what an amazing place we have right here in the city where we can go and picnic while the kids run around and play on the park equipment. Really something more people should do. Travel Massive is a worldwide network of travel industry insiders getting together on a regular basis, connecting with each other and sharing information. There are a 128 chapters worldwide with each chapter headed up by locals who give their time bring people within the industry together. 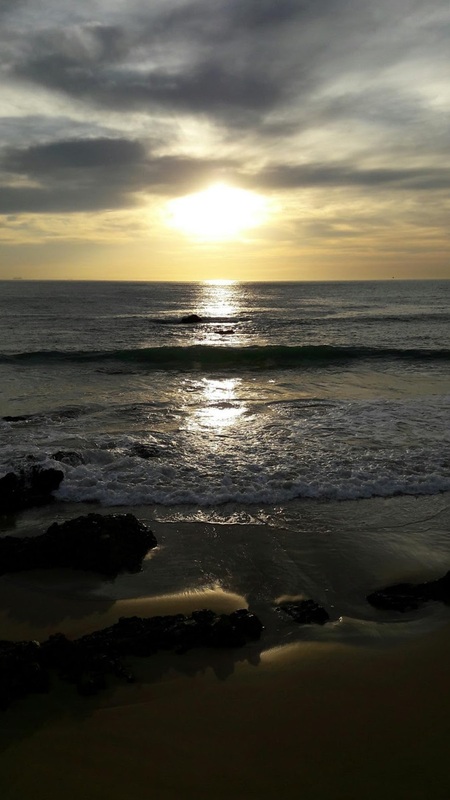 South Africa has six chapters in Cape Town, Johannesburg, Durban, East London, the Langeberg Valley and of cause right here in Port Elizabeth. For my sins I am one of the Port Elizabeth chapter leaders and have been taking the lead when it comes to organising the events. 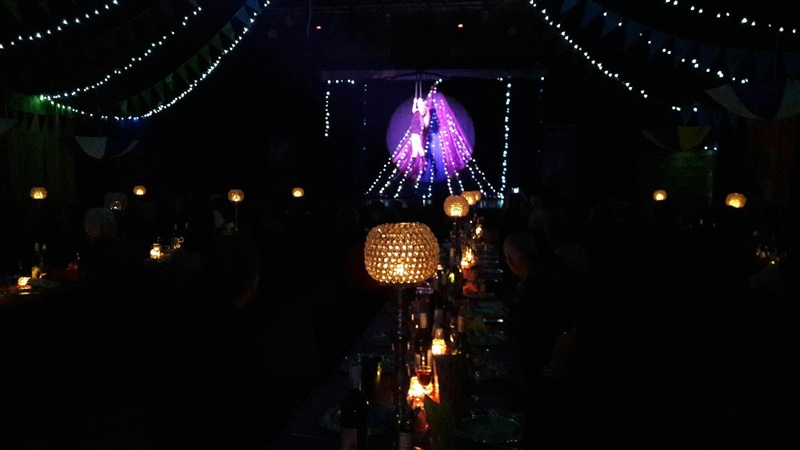 Events take place every three months or so and the last one was a networking event hosted by the Courtyard Hotel and co-sponsored by the Town Lodge. The weatherman promised us a beautiful weekend and that's exactly how it started yesterday. On my way to work yesterday morning I just had to pull over and snap a pic. How can one not? 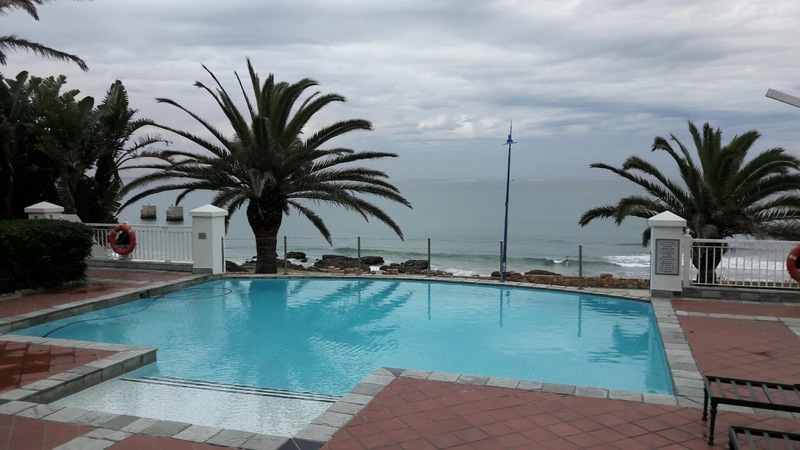 Port Elizabeth and Algoa Bay was recently branded as the Bottlenose Dolphin Capital of the World because of the fact that the area is home to probably the biggest population of Bottlenose Dolphins in the world. 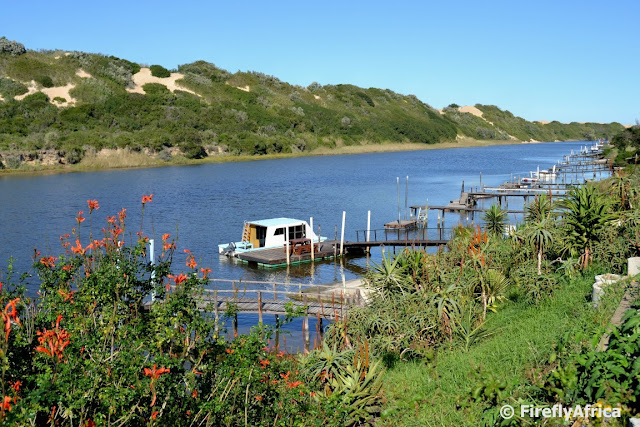 Join Lloyd Edwards and the team of Raggy Charters on a virtual cruise of Algoa Bay out to St Croix Island and along the beachfront to view the dolphins on this video and perhaps you may just decided to do it in real life next time around. I got to attend the opening function of the SPAR Kirkwood Wildfees tonight and the highlight of the evening was definitely the performance of the Cape Town based Zip Zap Circus. Zip Zap is featured at the Wildfees for the first time this year and is definitely going to be a very popular addition to the festival. There are no animal acts and the whole performance are acrobatic and comedy related. Definitely not to be missed. The Zip Zap Circus times at the festival is Friday 11 am to 12 pm, Saturday 12 pm to 1pm and Sunday 10 am to 11 am. I know it's not Port Elizabeth, but I just have to share this with you. I was in Patensie for a tourism workshop this morning and the citrus orchards are just packed with fruit at the moment. 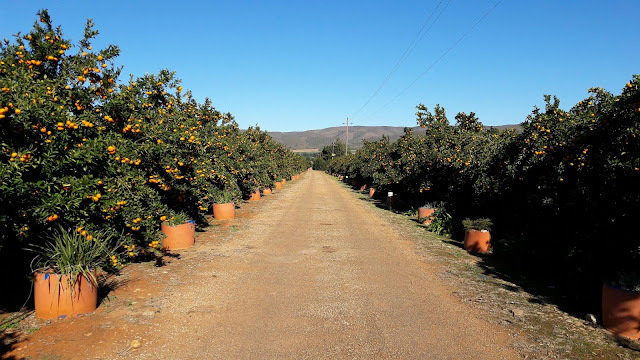 The Gamtoos Valley is one of the biggest citrus producing areas in South Africa and it's well worth taking a drive through the valley at the moment to see all the citrus on the trees and the activity going on around the farms. 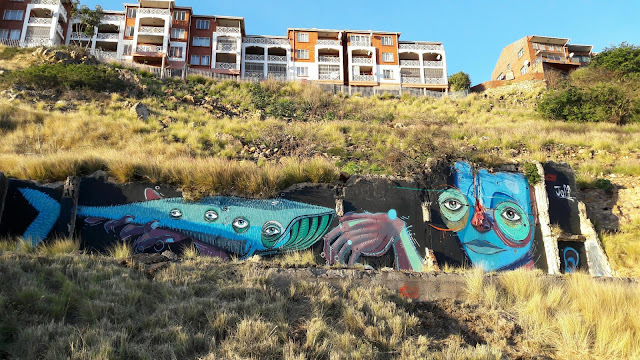 Joff's latest piece of graffiti down in the lower Baakens Valley literally has the whole city talking. It even made television news the other day. Last week I posted this picture on Instagram and a number of people have shared it via Facebook. I really hope we'll start to see a lot more of this kind of art around like they have done up on Johannesburg. It really encourages urban tourism and get people into areas they don't normally go to see it. A climb up the side of the Lower Baakens Valley to find a Geocache last week gave me a bird's eye view (or was it a Geocacher's eye view) of the Lower Baakens Valley below me. The is the view looking west with the Bridge Street building (where Bridge Street Brewery and Boomtown is located) right in the middle of the picture. Upper Valley Road toWalmer leads off to the left and the road up the hill in the middle is Brickmakers Kloof. 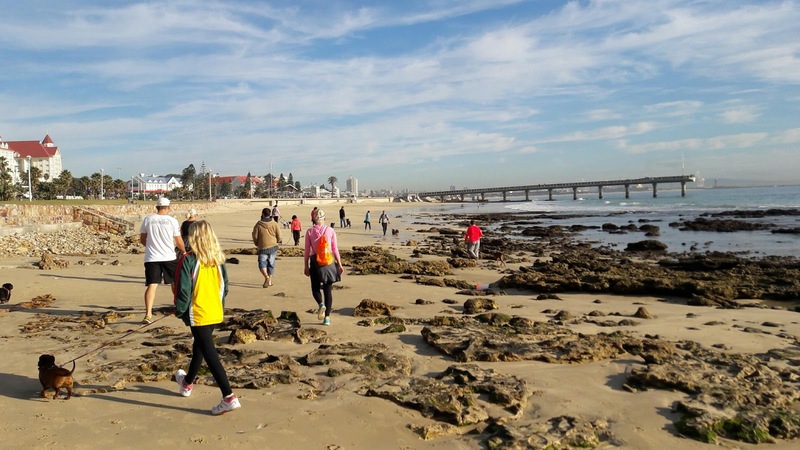 Yesterday (Saturday) morning we took the sausages for a walk on the beach along with probably a hundred or so other pooches as part of a fundraiser for Animal Welfare. The weather was perfect and the dogs and their human servants had a great time out. So interesting watching everybody with the dogs of different shapes and sizes. Friday morning I made an early morning stop in the lower Baakens Valley before work to find a newly published Geocache. Turned out the cache was high up the side of the valley which didn't just leave me out of breath when I got up there, but also with a great view down towards the harbour. 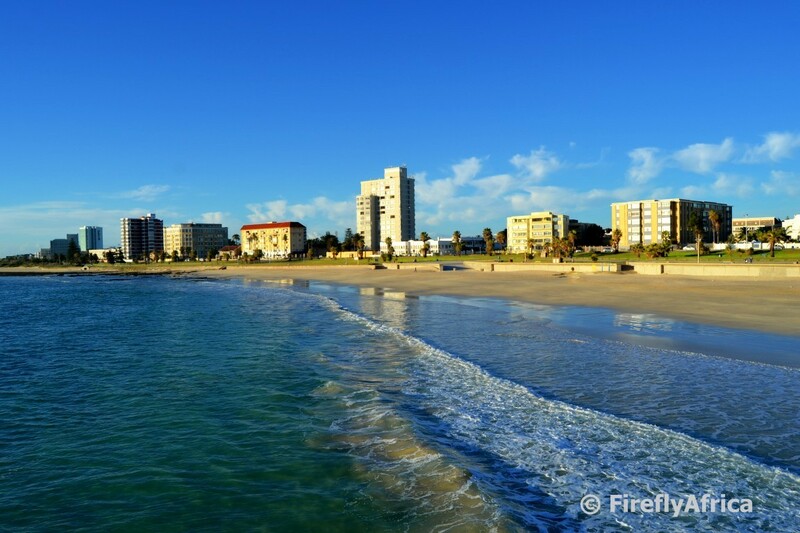 Oh how I would love to have a drone and to be able to shoot Port Elizabeth and the Eastern Cape from the air. Unfortunately for me I have other financial priorities and just don't have the budget to buy one. Maybe one day when I'm big. One day. In the meantime I'll just have to enjoy the fantastic aerial footage others like Ralph of Chasing the Rainbow shoots. 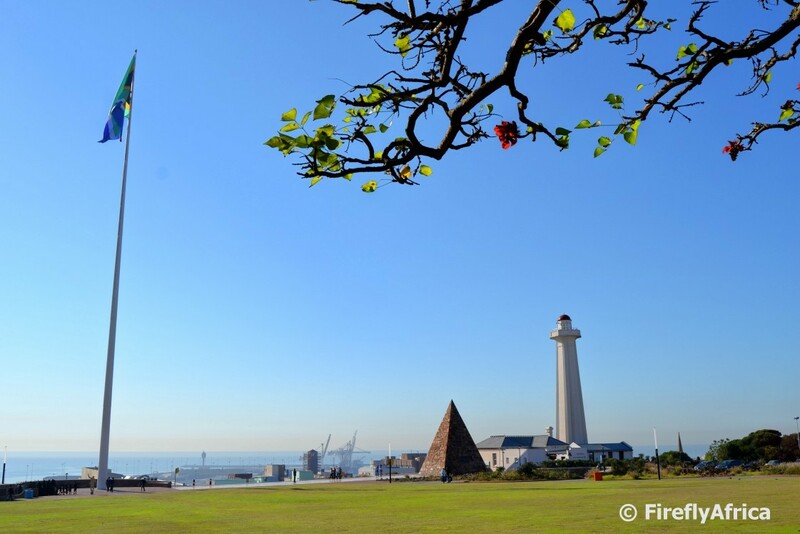 Check out this breathtaking video they did featuring some of Port Elizabeth's best known scenic landmarks. So this morning I was woken up by my neighbour's contractor starting early on this public holiday, spent a little time in bed with the wife and the daxies, played some Play Station with the KidZ and then we cleaned house, cleansed house and... yes, cleaned house. Late afternoon I headed out for a little Geocaching with the whole family tagging along for a change. And a good thing though cause Chaos Boy climbed at least one tree to get to a cache before we got to this spot. Always good to have a monkey on hand for those tricky climbs. Pity the cache seemed to have been muggled though and wasn't there. 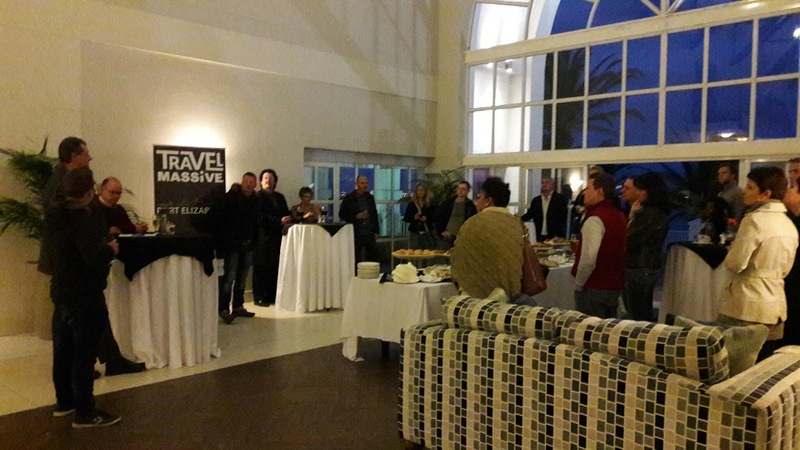 Last night Travel Massive Port Elizabeth hosted a networking event at the Courtyard Hotel sponsored by the Courtyard and Town Lodge. Before the formalities we had drinks outside by the pool and I must say that the hotel must have one of the best pool views around. The best part is that one would never say that there is a road between the hotel and the ocean. 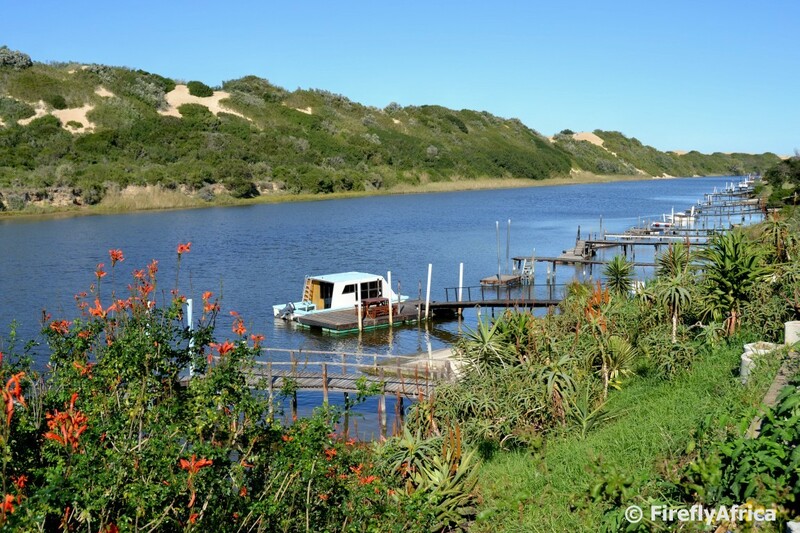 We all know the Baakens River flows through Port Elizabeth and that most of the Baakens Valley is protected green open spaces all the way from Sunridge Park, past the 3rd Avenue Dip, through Walmer and Mill Park to Settlres Park. 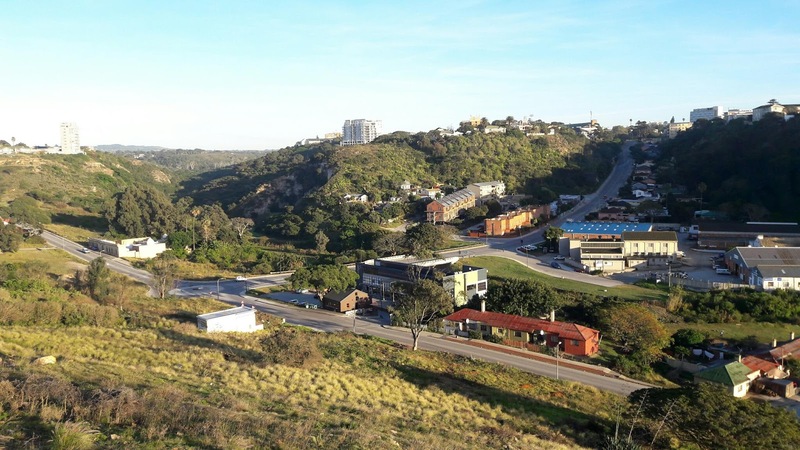 It really is a pity that the municipality doesn't look after the well being of the river better and that the open spaces aren't utilised as much as the potential it has, but it's still a very special area. I often wonder though how many people have never thought where the Baakens River Mouth is and didn't realise that it actually flows into the Port Elizabeth Harbour. After a lunch at This is Eat at the harbour the other day I remembered the two historic pictures below and that I still had to take a Now photo to post with them. 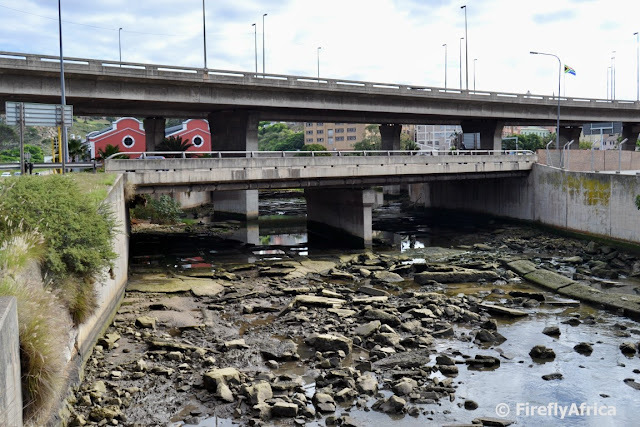 So here it is, Then and Now - Baakens River Bridge. 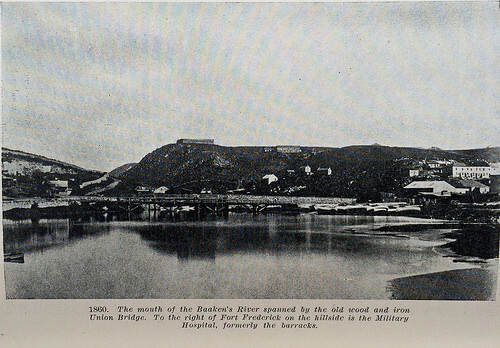 In 1851 the bridge across the Baakens River near the mouth was washed away and a new wooden one was built for pedestrians. The road below for wagons simply took a dip through the river and up the other side. The new bridge washed away in 1857 and the then replacement was damaged in 1867. The roadway though was practically untouched. This bridge was replaced after 1867, the road straightened and dip removed. 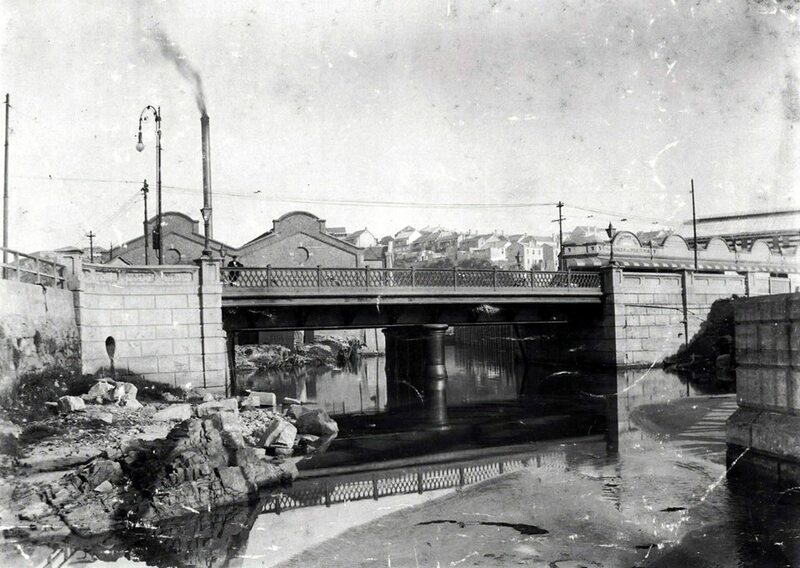 In 1892 the foundation stone was laid for the new Baakens Bridge. The town council in partnership with the Harbour Board built a strong new bridge over the river. In the following years several acres of the southern bank were reclaimed by the Harbour Board, narrowing the river even further while a concrete wall was built along the river banks. In 1913 the ratepayers accepted a scheme to widen and improve the channel at the mouth of the river and to a new bridge to provide a proper outlet in case of future floods. The original plan was to build a steel bridge to replace the cast iron one but the war interfered with their plans to buy suitable steel and in 1916 it was decided to rather use reinforced concrete. The plans had to be set aside though and only once the war was over did things move on the project again. The bridge was finally completed in June of 1922. This is what the mouth of the Baakens River looks like today at low tide. Two bridges below, one going towards town where the original bridge use to be and one going towards Humewood plus the Settlers Freeway overhead. The Tramways Building is visible in the background of both the second as well as the last photo. For most this will probably be just a bunch of useless history about a bridge, but the one thing that is clear is that this river mouth has seen a lot of bridges (and flooding) over the years. 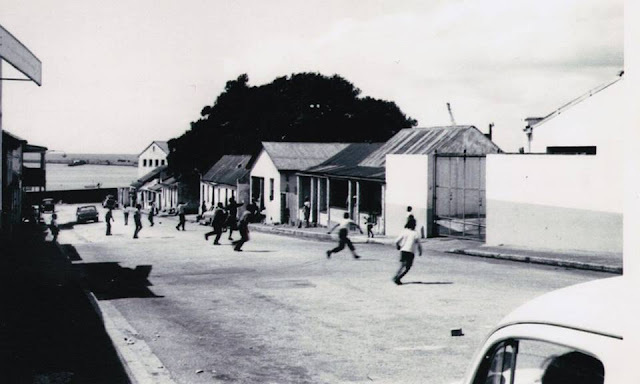 The historic information in this post was sourced from Margaret Harradine's excellent book, Port Elizabeth, A social chronicle to the end of 1945. Some people think I'm always out and about, traveling all over getting to explore, experience, have fun and take photos. Well, let's just say I put in way more office time driving my desk than being out there. It just looks the other way around. Today is such a day and with no photos in stock to post for today you will have to bear with me as I post a picture of my desk. 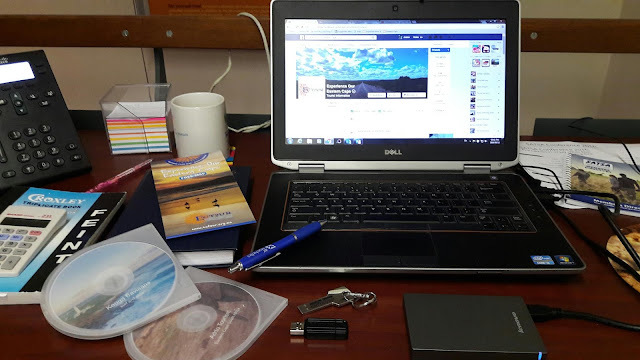 Right now I'm busy with a little social media on the Experience Our Eastern Cape page, sorting my registration for next month's SATSA conference, dealing with some promotional video stuff and a little financial admin. Why is my coffee mug empty? About two and a half years ago (can it really be so long already?) 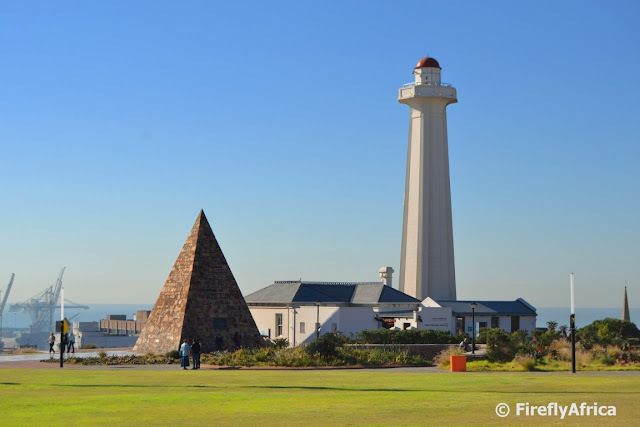 I did a Then and Now for the Donkin Reserve featuring photos taken from the sea side of the lighthouse and pyramid. 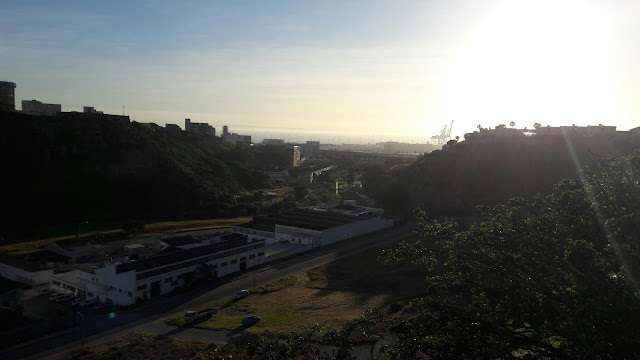 Last week I passed by the Donkin on my way to a meeting and snapped one from the other side with the two "Then" pictures in this post in mind. I notice I should have squared it up a bit more, but it will have to do. 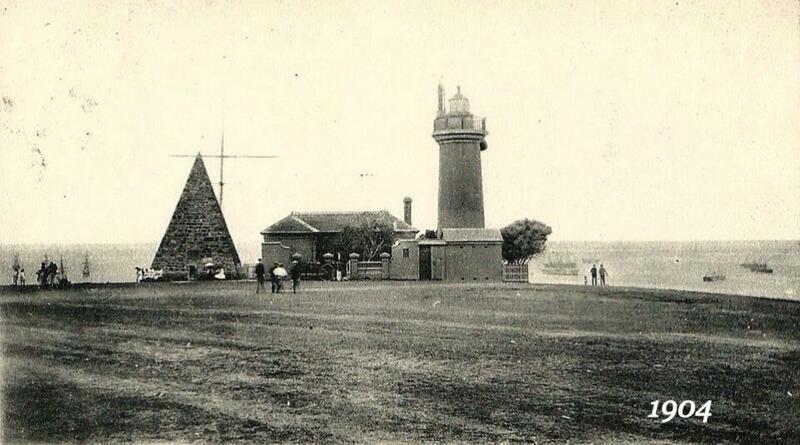 This first picture dates from about 1900 (according to the info I got with the picture). This second picture is dated 1904 but I have a feeling it could be from a few years later. The lighthouse keeper's cottage has been extended, the tree in the courtyard is still there but there is now a tree on the right hand side of the lighthouse as well. Check out the sailing ships in the bay. And lastly the Donkin Lighthouse (Hill Lighthouse) and Pyramid (Donkin Memorial) as it stands today. 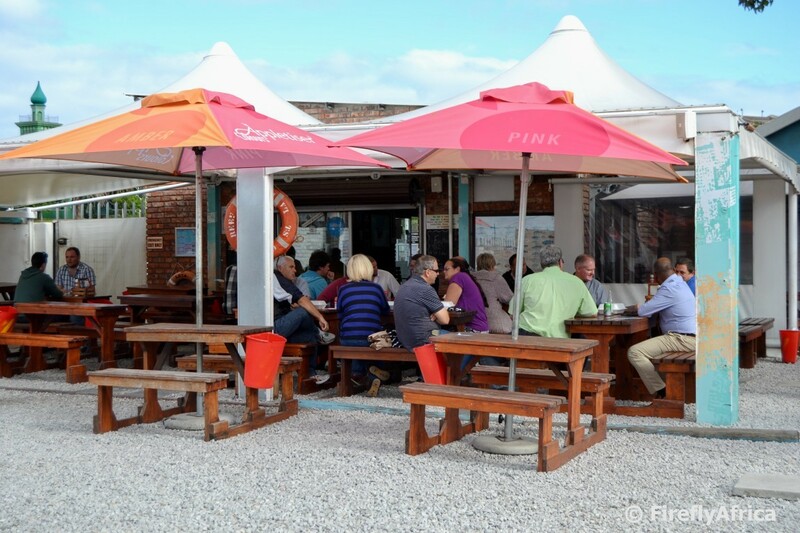 No tree in the lighthouse keeper's cottage courtyard and the building is now used as an Visitor Information Centre by Nelson Mandela Bay Tourism with a coffee shop next door. I don't make videos for my blogs. I wish I had time to do so, but it's a luxury I don't have much of. Instead I have to normally surf the net and in particular YouTube to find videos to post for Video Friday. I have seen a lot of good drone footage on Facebook lately, but its not on YouTube which seems to be the hitch as Blogger pulls videos from YouTube. But I will have a look see to try and find out how to embed them. This week I'm posting a short video by Herald LIVE posted in March on Why we love The Pier. 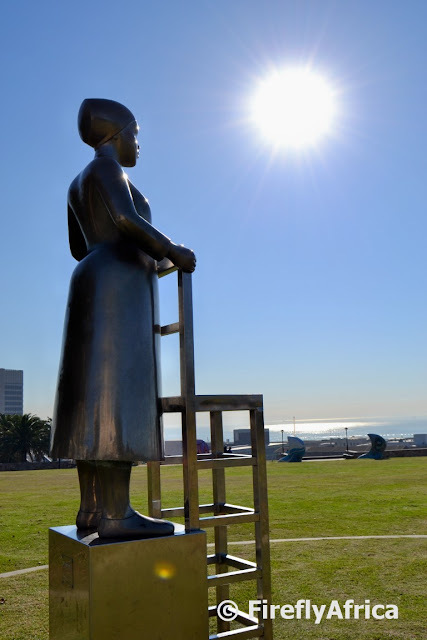 I had to drop something off at the Donkin yesterday and found this tranquil scene. Warm day, not a breeze and barely anybody out and about. At least I got to enjoy it for 5 minutes before I had to hit the road again. The difference between the Port Elizabeth Railway Station (opened in 1899) and the Humewood Railway Station (opened in 1905) is that Humewood was built to accommodate narrow gauge - 2 ft (610 mm) - trains that made use of the Avontuur Railway (or Apple Express line as most of us know it) to the Gamtoos Valley, Kouga area and Langkloof. 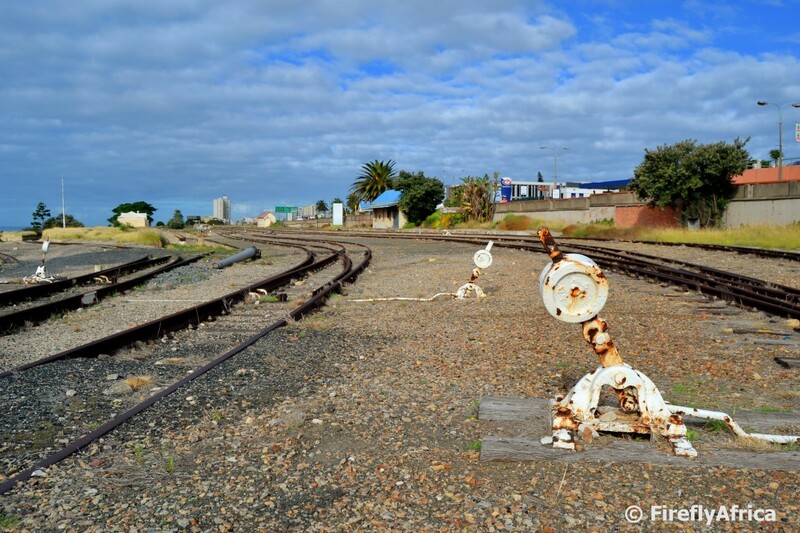 Sadly since the line has been closed after flooding the station has died, most of the buildings demolished and all the old rolling stock parked there sold off. I'm sure there are a couple of developers around who would love to get their hands on that piece of prime land. 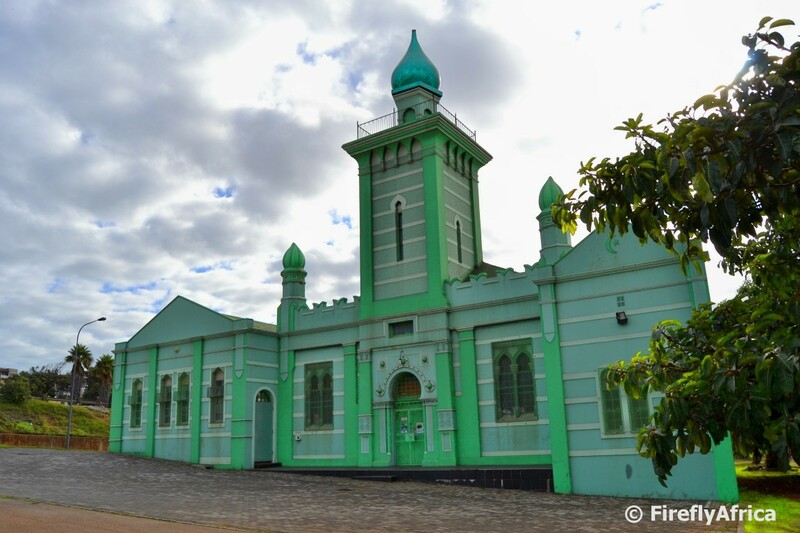 With the month of Ramadan starting today, I thought it would be appropriate to do a Then and Now featuring the Masjied-Ul-Aziz (also known as the Pier Street Mosque or Green Mosque). The mosque was officially opened in July 1901 and the first Imam was Abdul Wahab Salie . 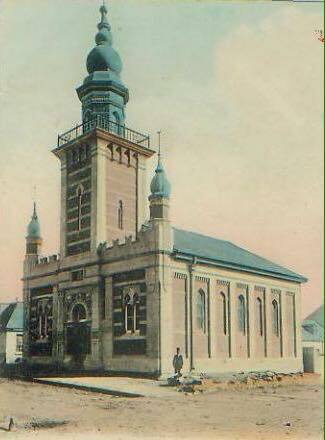 The mosque was destined to be destroyed by the declaration of the Group Areas Act to make way for a freeway off ramp, but the matter went to the United Nations where Islamic countries prevented its destruction, but not before the minaret had been removed already and bulldozers stood waiting. 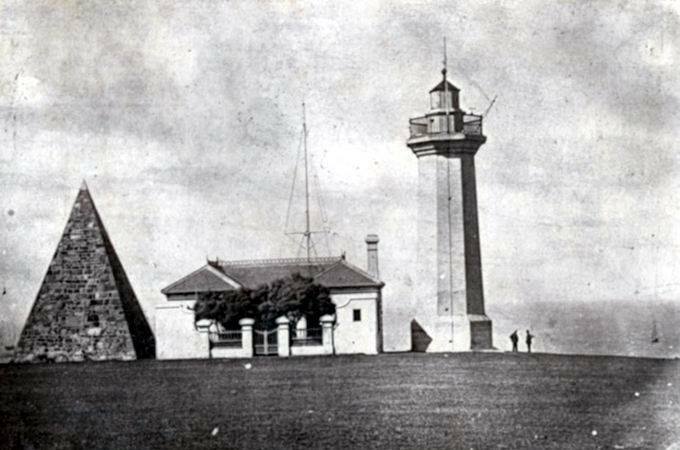 In the Now photo the extensions can be seen that has been added since it originally opened. The minaret is also different from the original and you can clearly see why the mosque is referred to as the Green Mosque. I also would like to take this opportunity to wish all our Muslim followers a joyous and blessed Ramadan. Peace, love, joy and good health to you. Standing on the deck at Dungbeetle River Lodge on the Sundays River in Colchester, this is the view you have. Ahhh, lazy days on the banks of the Sundays River. It's not often that you find much about Despatch on the internet and definitely not many videos. So I was quite surprised to find this one done by Renaldo Gouws featuring some aerial footage he shot with his drone over the town at sunset. We've all seen pictures (or in real life) of Red Bill Oxpeckers sitting on rhino, buffalo, giraffe or some of the other bigger animals. Taking a drive through Addo the other day I got to see a similar scene but it didn't include a Red Bill Oxpecker nor a big animal. 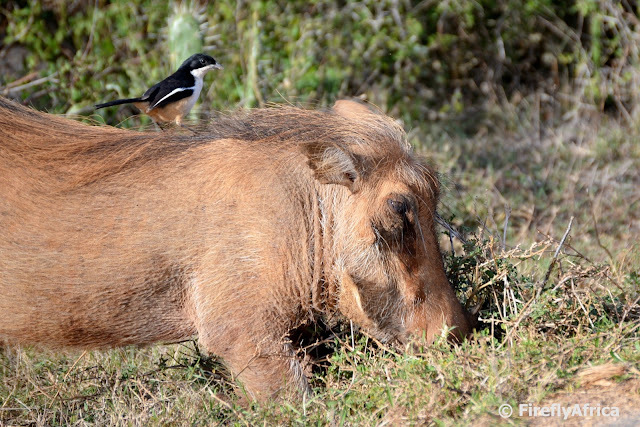 This time it was a Southern Boubou riding on a warthog's back. Pumba has a new friend. The old Fig Tree in South End (across the road on the harbour side from the South End Museum) predates all living memory and is said to be well over 100 years old. 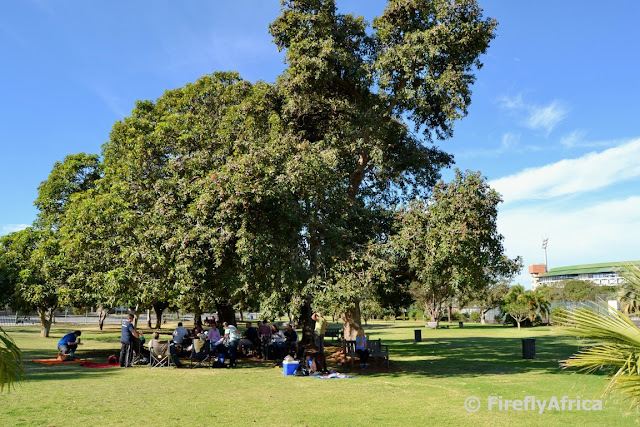 Back in the days pre the removal of everybody and everything from South End due to the implementation of the Group Areas Act, the tree was a popular spot. Kids climbed up in it's branches, families had picnics in the shade and the older residents used it as a place to meet friends for a chat. The then photo dates either from the late 1960's or very early 70's. 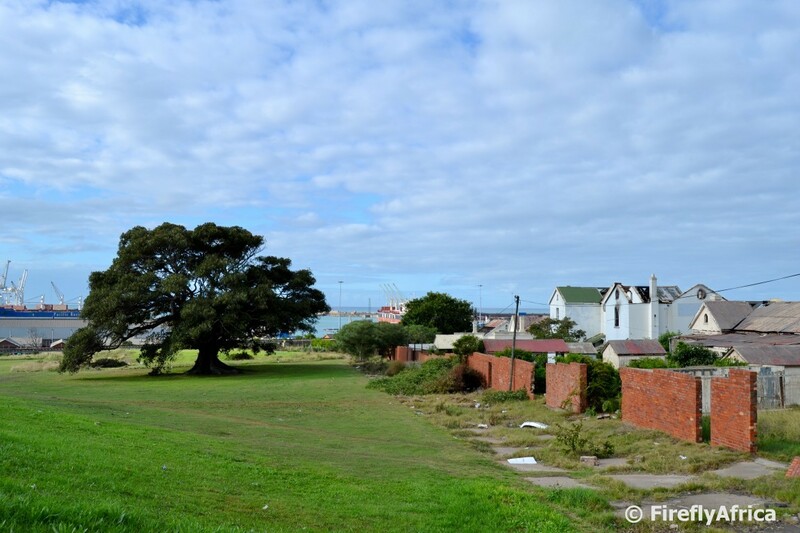 These days the tree stands on it's own on the grassy patch next to where the road up from the city center meets Walmer Boulevard, Settlers Freeway and Beach Road. The last of the remaining houses behind it nothing more than ruins (prime property which, if I'm correct, belongs to Transnet so go figure). The tree may not be a meeting place anymore, but it does take center stage on the South End Museum's logo and is seen, although probably not really noticed, by hundreds of passing motorists every day.